This standard pepper defensespray comes with a highly concentrated dose of 11% OC (Oleoresin Capsicum). It is very effective and reliable!! This spray reaches 5 up to 6 metres!! 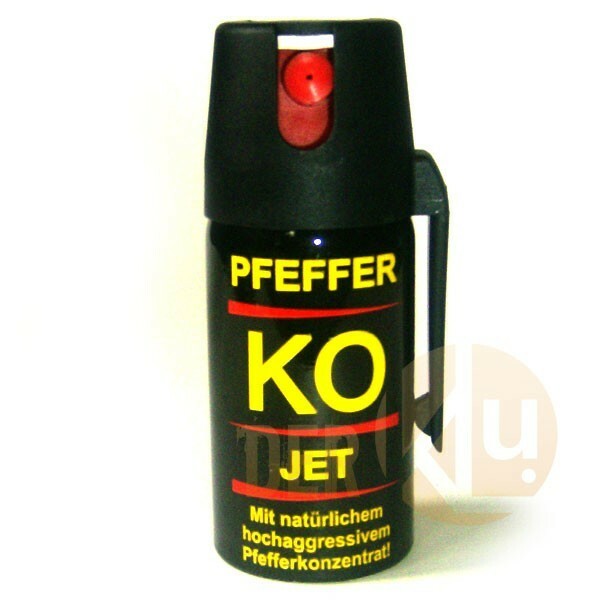 Related links to "Pepperspray KO Jet 40 ml"
Customer evaluation for "Pepperspray KO Jet 40 ml"